Fun challenge at Cooking with Cricut this week! It's National card and letter writing month. The challenge is to make a card you are going to send or a scrapbook layout that features a letter. I used Cricut Classic font for the suns, but found them to be a little flat and more like a flower, so I used that same cartridge to cut circles out of the patterned paper and used foam dots to affix them to the top. It gives the card some nice dimension while keeping it simple (this might be the first time I've used this cartridge! I bought it on clearance at Wal-Mart one day and just have never used it until now.) The yellow ink on the stamp blends in well, but it looks super bright and hard to read no matter how I took the photo. So, do you have someone that you are actually going to mail a card to? I feel like this challenge is going to help us all communicate "the old fashioned way" and it will be a lot more personal than how we tend to communicate lately! So, head over to Cooking wit h Cricut and link up your creations. Can't wait to see what you come up with! I am entering this project in a couple of other challenges. 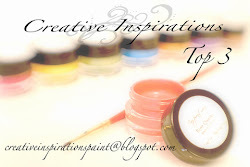 Scrap it With a Song "Beautiful Day" and Creative Inspiration Paints "Spring". If you are coming here from Cooking With Cricut I'd love to have you back to see my other projects, follow my blog and leave a comment. I'll come check out your blog as well! I LOVE the suns and how this card is sure to brighten someone's day. I agree, the pop dotted circles make this card that more special!! What a fun card, Melissa! It is sure to brighten your friend's day! I love the dimension you got by pop-dotting the sun centers -- nice touch. Great job! I think I will go make one too! What a fun, happy card!! Thanks for sharing it with us at Scrap it With a Song! Cute and fun looking card. Thanks for sharing your talent with us at Scrap it with a Song. Awesome card! Thanks for playing along at scrap it with a song! I love the suns..so bright and cherry. I like how you added the pop up effect too. Thanks for playing along with us at Scrap It With A Song. so cute...is so adorable and sweet :)Thanks for sharing your work with us at Scrap it with a Song! I am not supermom and that's okay!